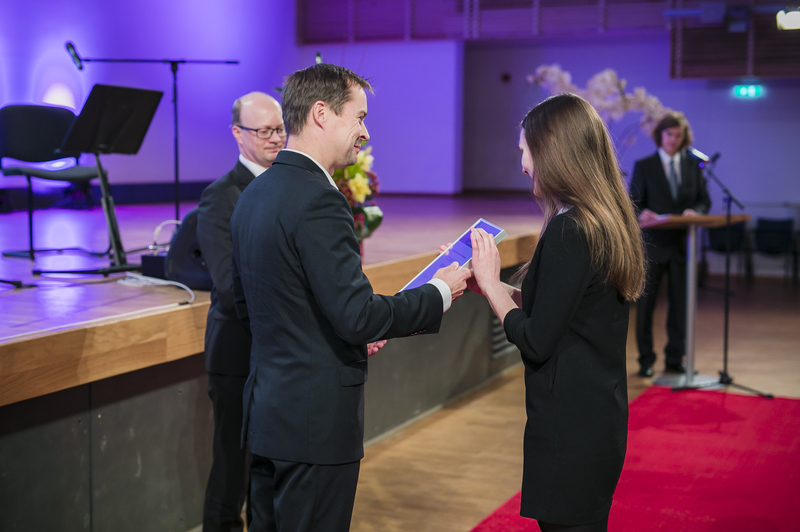 In the end of this November, the Development Fund of Tallinn Technical University held a ceremony where companies had the opportunity to hand out scholarships to the most outstanding students. For excellent study results and accomplishments relating to the IT field, Kairit Sims was granted a scholarship of € 1300 by Ellore. Kairit is a third-year Business IT Technologies student at Tallinn Technical University. Congratulations from Ellore team and best of luck in future studies to Kairit!